The Otherworld in Irish culture is not a far-off world that we go to as a reward (or punishment) after we die, but another life that carries on side-by-side to our everyday world: An Saol Eile. Through the history of Ireland, there have always been ways to travel between the worlds. In 20 years of active learning, teaching, and seeking, Lora O'Brien has found and personally experienced many of them. 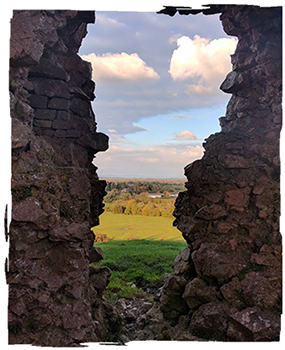 This Intensive Weekend Workshop will teach you about the Irish Otherworld: what it is, how to journey there, and how to get back safely. It is suitable for beginners or experienced practitioners, because Lora's methods are a unique blend of many years of detailed research, personal trial and error, and lessons learned! Her methodology is a unique blend of Irish Mythology, Allegory, Psychology, Exploring Archetypes, and Native Irish Journeying techniques. You will learn how (and why) this system can form the foundation for an authentic, practical connection to indigenous Irish magic and spirituality. 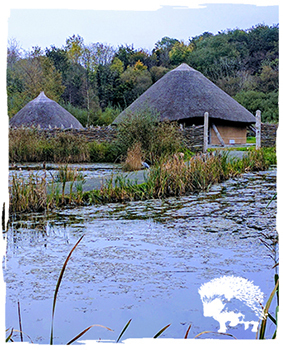 Over the three day workshop, you will learn the relevant history, share the stories, and experience the practical techniques that you need for your own development and journeys in the Otherworld, from a native Irish teacher and guide. Lora's workshop was truly refreshing! Practical, straightforward, yet powerful. Based on a solid foundation of psychology and Irish spiritually, without all the fluffy trappings of neo-paganism. Delivered with charisma and authenticity. The skills I learned from this workshop have allowed me to "level up" my meditation practice, and my relationship to self, the land, and the gods. We will pick a local restaurant or pub in which everyone may meet and enjoy a few hours of social time before the big weekend starts. Drinking is fine during the Meet & Greet, but we ask you to maintain safe and sober space for the rest of the event. The restaurant will be posted on November 7th. This Meet & Greet event is optional, and we understand if you cannot make it this early. Workshop time in four sessions, with breaks for lunch, snacks, and coffee throughout the day. Lunch is provided. Workshop time in three sessions, with breaks for lunch, snacks, and coffee throughout the day. Lunch is provided. We will hold a Social Sunday Session afterwards in a local establishment, for drinks, food, and winding down. This is optional for attendees, and we understand if you have to get on the road. Classes will be dismissed promptly for dinner on your own or with the other participants. This space will be free from alcohol and drugs. This workshop will be held in a private home in the Lake Merritt area of Oakland. The house is wheelchair-accessible, with a ramp in the back. Let us know in advance if you will need to utilize the ramp, so we can prepare adequately for your arrival. Keep in mind that the downstairs bathroom is quite narrow, and will not fit a wheelchair. There are three feet from the door to the toilet. Overnight accommodations are not included in the costs. 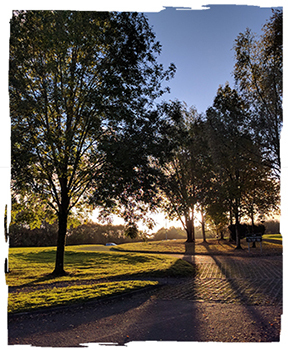 We will have a Google Group open six months ahead of time, which participants may use to coordinate with lodging and shared transportation concerns. I really enjoyed Lora's foundation class on journeying in the otherworld. She created a very safe, warm environment to experience these journeys, which were somewhat akin to guided meditation practices, but with an emphasis on the role of such journeying in Irish myth and legend and on utilising the tools and the lessons from such myth. This event is now over. Thank you for attending! 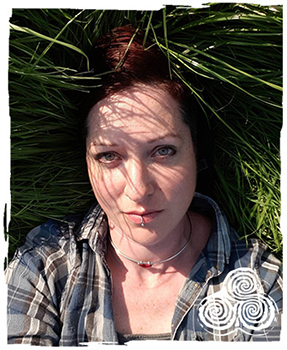 Lora O'Brien is a native Irish woman with strong experience in our history, heritage, archaeology, mythology, & Irish Spirituality. You could call her Pagan, Witch, Druid, Priestess or Shaman, and you wouldn't be wrong, although she doesn't call herself anything but a Draoí – a practitioner of indigenous Irish magic and spirituality, in the simplest terms. Lora has been consciously following a pagan path for 21 years, and is a dedicated Priestess of the Morrigan for more than 13 years. She is a guide, a teacher, and writes Irish heritage articles and books, including: Irish Witchcraft from an Irish Witch (2004); A Practical Guide to Irish Spirituality (2012); and the forthcoming A Practical Guide to Irish Magic (Llewellyn, 2017). You can find Lora at www.loraobrien.net. 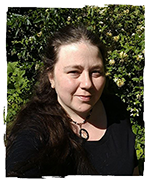 Vyviane Armstrong has been event planning and arranging sacred site tours since 1999, with a special focus on Goddess and Sacred Site pilgrimages in North America, UK, and Ireland. She has worked non-profits for eighteen years, assisting with their event planning and cooking at events for groups. Her belief is that travel is a holistic event, and a pilgrimage starts the minute the first hotel room is booked or the first guidebook bought. 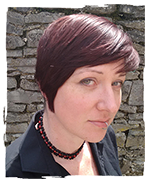 Vyviane is well trained in Otherworld journeying, group facilitation and has a background in Irish Polytheism and Welsh Polytheism. Some of Vyviane's favorite places to travel and explore are Ireland, Thailand, Wales, and road trips through North America. Her next travel goals are Iceland, the Isle of Man, and North Dakota. Her favorite city is Sligo, Ireland, and her hometown is Atlanta, Georgia. You can find Vyviane and her company Land Sea Sky Travel at www.landseaskytravel.com. Lora O'Brien, Land Sea Sky Travel, and its founder Vyviane Armstrong, hold in highest regard open mindedness and hospitality. As such we have a zero tolerance policy towards racism, religious intolerance, sexism, transphobia, ageism, homophobia, ablesim and all other forms of discrimination. We strive to hold safe events, both in person and virtually via our social media sites. If you ever encounter any form of harassment or feel unsafe in our community, please reach out to Vyviane immediately or any other member of staff if necessary. All teachers, moderators and employees of Land Sea Sky Travel have agreed to the above tenets and will assist in making our guests, clients, vendors, and friends feel safe and supported. We also strive to work with vendors and companies that hold and express similar values as our own. Site designed by Girl Lively Design. Irish Otherworld Header image by Wolf Mercury Photography.